With more venues in more cities, this year’s Beloit International Film Festival is drawing crowds from around the world and our region. Discover what’s on the lineup this year. 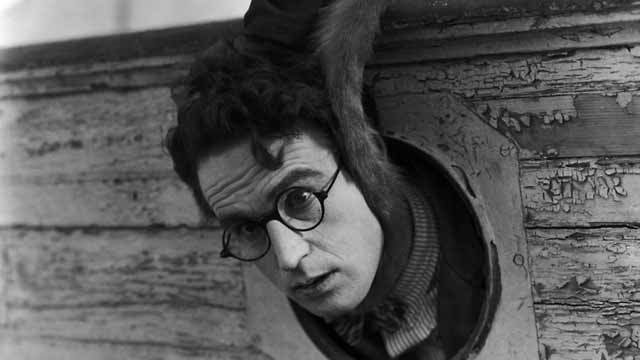 This year’s Silent Film Showcase is Harold Lloyd in The Kid Brother. The 2012 Beloit International Film Festival (BIFF) will run February 16-19. The four-day event, now in its 7th year, showcases more than 140 independent national and international filmmakers and their works, and provides opportunities for them to speak with viewers about their art, in venues that now span three cities and two states. One of the most outstanding features of this locally grown, internationally acclaimed festival is its efforts to involve the entire community. This year, 15 local businesses transform themselves into film venues, from the Eclipse Center and the Hendricks Center at Beloit College, the Casa Grande Mexican Restaurant, Domenico’s Italian Restaurant and Bushel & Peck’s Local Market.Seating capacities vary from 30 to 750, and many restaurants will offer special BIFF menu items and pricing. Many of the venues are within walking distance of one another, encouraging foot traffic for other downtown businesses. Shuttle service is once again being offered to all Beloit locations, including the box office. Last year, a business in Janesville was added to the list; this year, the two Janesville venues will be the Speak Easy Restaurant and Lounge and the Janesville Women’s Club. And across the state line, Rockford’s Franchesco’s Ristorante and the Sullivan Center will also screen films. According to organizers, all venues will have state-of-the-art projection equipment, to provide viewers with the best possible film and sound quality. Each year, the festival accepts submissions from around the world, made by a mix of professional, amateur and student filmmakers. Categories range from feature-length fiction and documentary films to short-subject and animation. A fan favorite each year is the “Short Slots,” intermittently scheduled blocks of short films, which can run up to 30 minutes or just 1 minute. The kickoff event on Thursday evening, “Launch & Laurels,” welcomes the entrants and announces the BIFF Filmmaker Award recipients. BIFF offers special programming and happenings, also. The Silent Film Showcase, at 7:30 p.m. on Saturday at the Eclipse Center, is a signature event. Here, a classic silent film is screened to the accompaniment of the Beloit Janesville Symphony, under the direction of Maestro Robert Tomaro. This year’s feature is The Kid Brother, starring one of the most athletic of the silent comedic stars, Harold Lloyd. New this year is BIFF’s Student Filmmaker Showcase, a program for filmmakers in grades 6-12. Students can create films of any genre, from between 3 and 5 minutes long, to submit for the competition. The Grand Prize Wiinner will be announced at the Launch & Laurels event. Other awards will be presented on Saturday, during the student film screenings at Beloit Public Library. Organizers are holding a “Prep Day” on Jan. 21 at the library, from 11 a.m.-3 p.m. During this time, students can come in for technical assistance or feedback on their films. The action doesn’t stop when the screens fade to black. At BIFF After Dark (BAD), festivities continue into the wee hours of the morning, both Friday and Saturday. The full schedule of events and films will be presented in a series of “Sneak Peeks,” Jan. 17-19 in Beloit, Rockford and Janesville, and tickets for BIFF films will go on sale Jan. 20 at beloitfilmfest.org. This entry was posted on Wednesday, December 21st, 2011 at 12:47 pm	and is filed under Arts & Entertainment. You can follow any responses to this entry through the RSS 2.0 feed. Both comments and pings are currently closed.